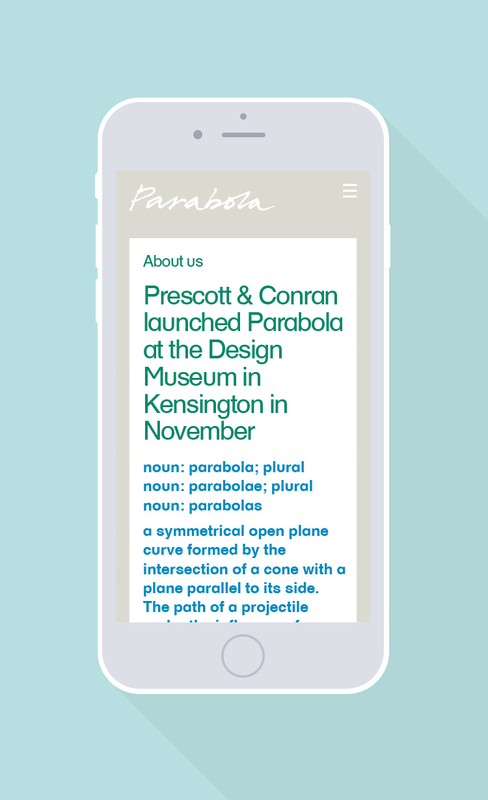 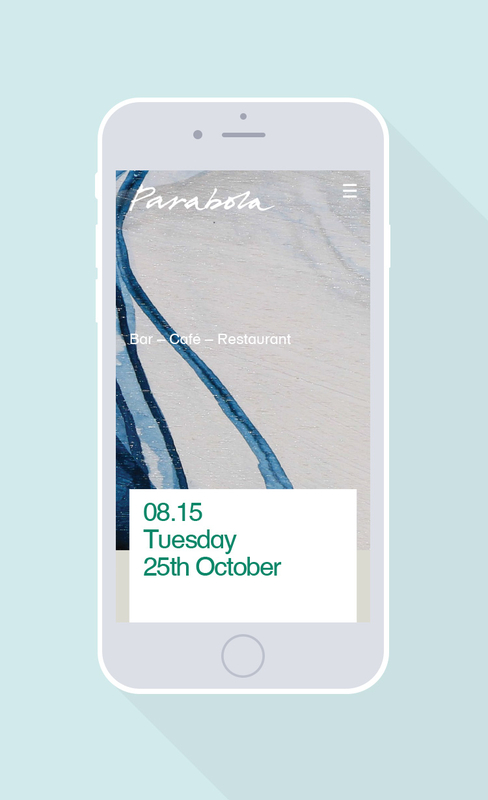 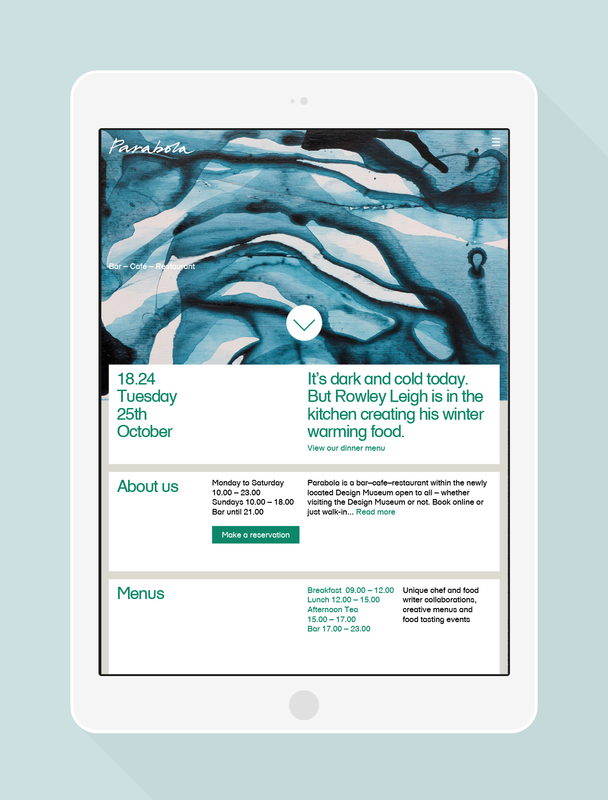 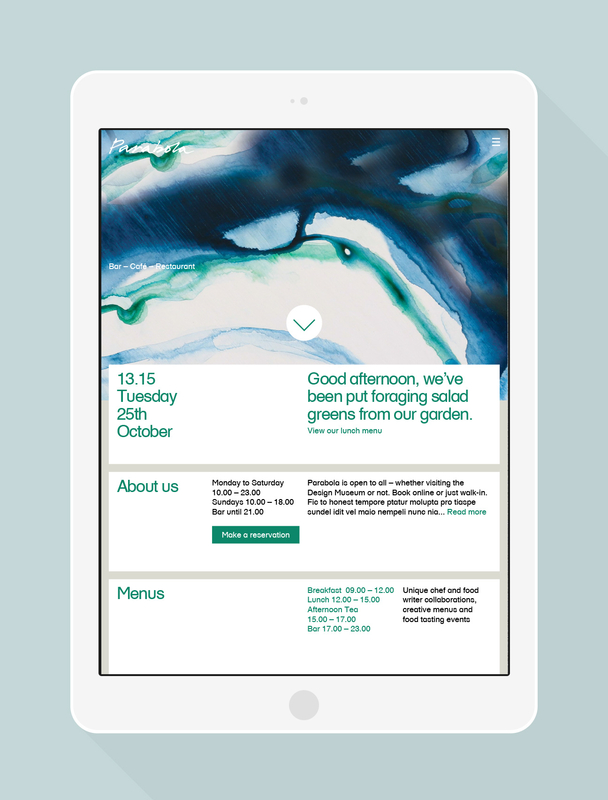 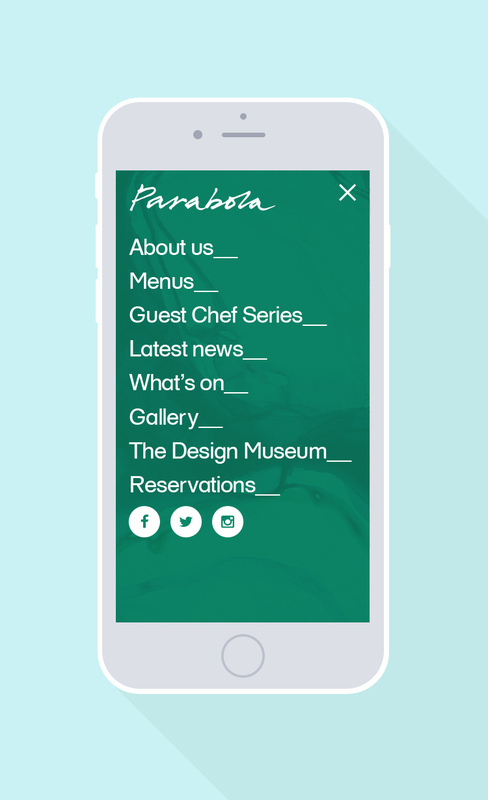 I worked closely with identity designer, David Hawkins of Untitled, in order to create a fully responsive website for the new Design Museum restaurant; Parabola. 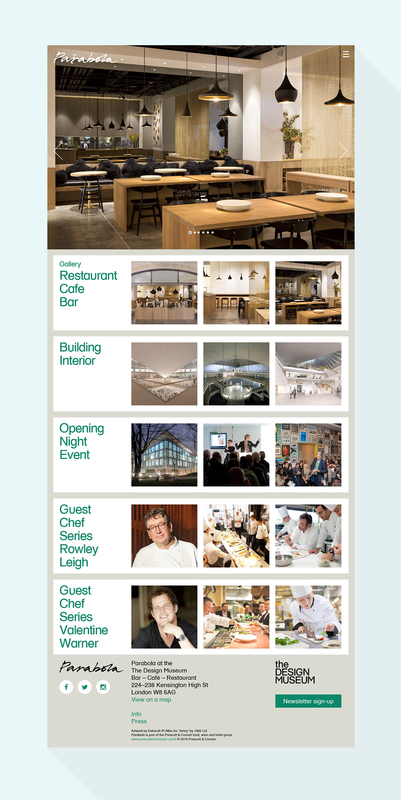 The website needed to integrate with the Design Museum yet retain its own identity. 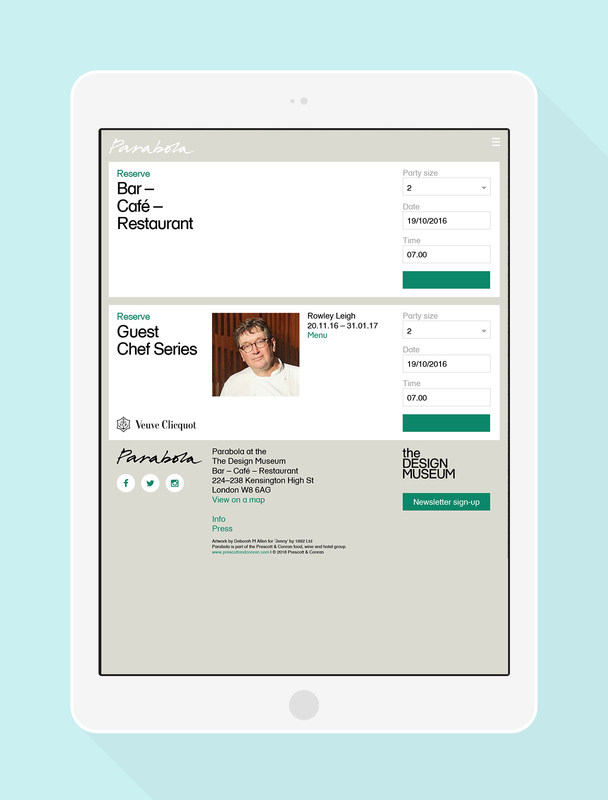 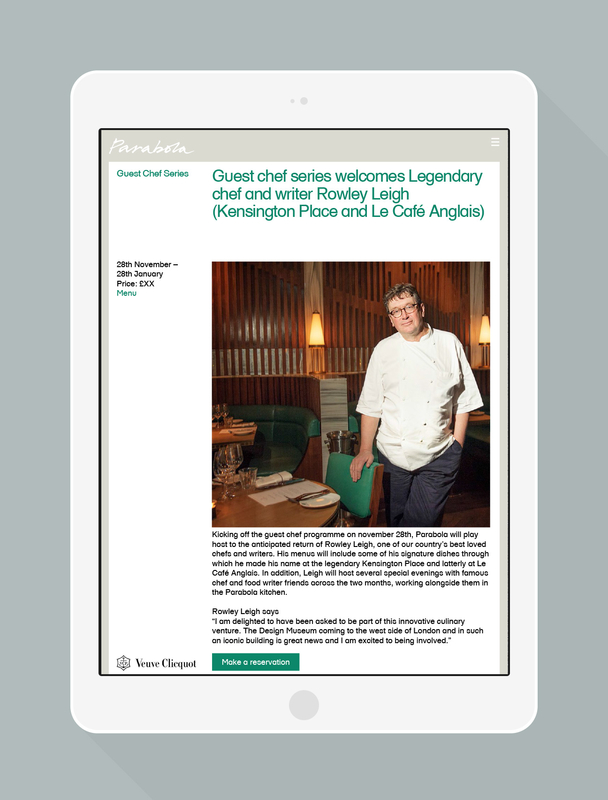 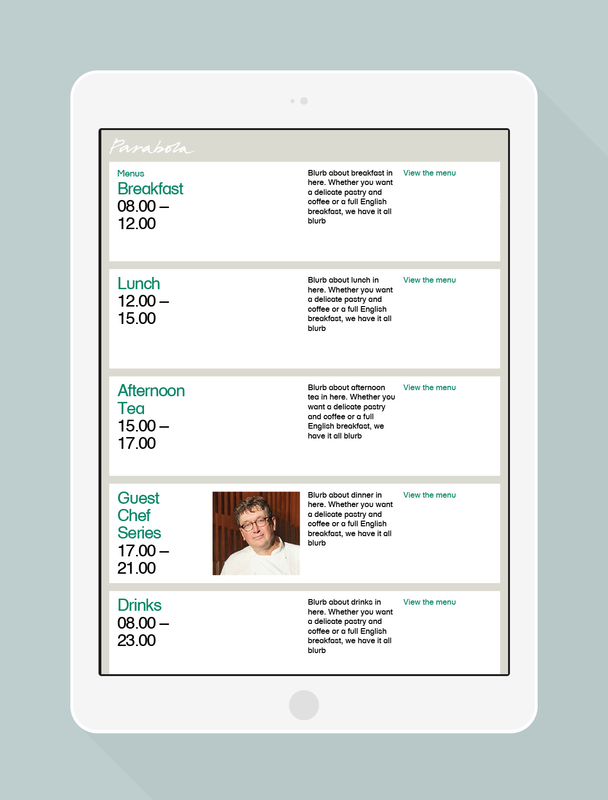 It shows full menus, information on the Guest chef they will have plus an online booking tool which links up to Open Table.